Are you kidding? I can’t think of any physician that would think this is ok…. I have held leadership roles and I am not naïve. “No margin, no mission” is a universal truth. Financial accountability and stability are necessary for us to heal patients, teach and change the future through research. But, if we only measure and report productivity it will be the only metric that is perceived to matter…. and that’s not ok.
Financial and productivity metrics are critically important in any business. Healthcare is a very complicated business. But for physicians, medicine is a profession, not a business. This distinction explains why the standard business metrics of productivity don’t sit well with most physicians. I’m becoming more and more convinced that we need to rethink how we define “success” for the physicians (professionals) who work in a business (healthcare). If we don’t, I’m afraid we will lose our way…. and potentially a generation of physicians. So, as a starting point…. what if we thought about the following as potential new metrics of institutional “success”? It is human nature that what is counted is assumed to “count” the most. In addition to my friend who was almost despondent over having to “pay back” a mission trip that was part of his original contract, I have watched bright and hard-working physicians choose to stay to do one more little case or see two more consults instead of going home to their children because of this RVU pressure. By the way, these events were when a partner was on call and in the hospital, available and willing to take on this work. Let’s commit to a new institutional paradigm. Set RVU goals for the group. Trust the chiefs and chairs to be responsible for monitoring productivity. Let them take into account the normal ebbs and flows of work as a physican. Trust them to call in the few physicians who are consistently below expectations. In an academic practice, it’s a good sign if strong, mid-level faculty members are recruited away to other institutions. In all groups there will be physicians who leave for family reasons or because a spouse has been recruited. But keeping track of physicians who leave for other reasons may be a metric that can reveal a bigger problem. Given the extraordinary cost of replacing physicians, isn’t this a metric that should be followed? Burnout is reported in 50% of physicians and costs institutions money. I strongly believe that every physician should have an assessment for burnout as part of their annual evaluation. Physicians that score high on the burnout scale need help – for their sake and the sake of the institution. The cost to the institution in decreased patient satisfaction and increased liability should be enough, but burnout is a life limiting or even life threatening condition. Let’s protect our most precious resource in medicine by paying attention to this epidemic. Why not reward divisions and/or groups that consistently demonstrate low levels of burnout? Why not use what they have learned to coach other groups who need help? I am quite certain that most people have no idea the amount of clerical work that physicians do today. For institutions, it’s a waste of extraordinarily profitable physician time and a major contributor to physician distress. No one knows what the ideal ratio of support staff to physicians should be, which support staff are more important, or what the differences should be between specialties. So lets measure it, report this metric and compare between groups in our own hospitals and between institutions. Let’s also make sure we understand how the ratio of support staff to physicians impacts burnout and physician turnover. Professionals work to make a difference but sometimes are not recognized for their successes. Even grown ups love a gold star. Let’s make a big deal about teaching local physicians, publishing new research, receiving “Doc of the month” awards and building new programs. Celebrate successes – of all kinds – publically and sincerely. Likewise, let’s call out and celebrate the physicians who serve on boards of charitable organizations, who travel to treat patients and teach in underdeveloped areas, who sponsor student groups or who otherwise donate their time and expertise to make the world a better place. I understand that salaries are “complex” in medicine, but it’s time to realize that they can be extremely unfair. 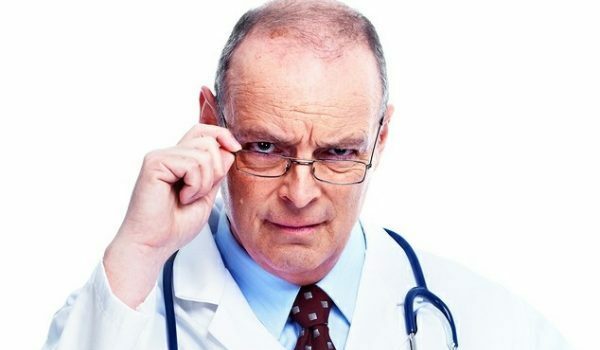 When new physicians are hired at a higher salary than extremely successful physicians who have been there for 20 years, something is very wrong. When women and minorities consistently make less, something is very wrong. There is no way that budgets can suddenly be changed to make pay equity a reality, but its time for all of us to make a commitment that pay equity will happen. Decide how long it will take … 5 years? 10 years? Once you have decided, let your physicians know you will commit to this change. To be transparent, report an annual metric of the percentage of physicians that meet the goal of pay equity. Make these changes. It’s the right thing to do. Before you worry about investing, you should worry about protecting what you have (even if it’s not very much). You should automatically have life insurance and disability insurance from your institution, but you need to check. Unfortunately, if you are a resident, the “MD” behind your name makes you more vulnerable than the general public – and lawsuits can be against future earnings, not just current salary. Many attorneys recommend that you spend the relatively small amount it costs to obtain an “umbrella” personal liability policy to help prevent a large lawsuit from someone if you are involved in an automobile accident or someone trips on your front porch. When you are in training, these kinds of insurance policies seem like a waste of money. But – they aren’t that expensive when you consider that all your money can be wiped out with a single disabling injury or personal lawsuit. When you go to meet with the financial experts, this would be a good question to ask. Does the Fetus Feel Pain?